ISLAMABAD: A wild animal killed five deer and injured one in an enclosure looked after by the Margazhar Zoo because of negligence on the part of zoo staff. Sources said an animal, likely to be a jackal or a wolf, attacked the deer in an exclusive deer enclosure on a greenbelt between Faisal Avenue and a service road. The enclosure is part of the Marghazar Zoo and houses more than 30 deer. Its affairs are supposed to be run by the zoo director and staff. Sources said the wild animal entered the enclosure in the early hours of Wednesday and attacked a herd of deer. A passerby noticed the attack and reported the matter to the police, who then contacted zoo officials. It was too late by the time zoo officials arrived, as the animal had already killed five deer and gravely injured a sixth. Sources said while zoo officials are deployed to look after the enclosure, it is routine for them not to perform duties at night. There have also been conflicting reports of the attack; some zoo officials have said that it was a dog and not a wolf that attacked the deer; although one official said the deer were attacked by a ‘wolf’ that was shot dead by the staff. “When our officials reached the wolf had already killed five deer. One of our officials killed the animal with his official gun. The bodies of the five deer and the wolf have been moved to a museum,” a zoo official said. 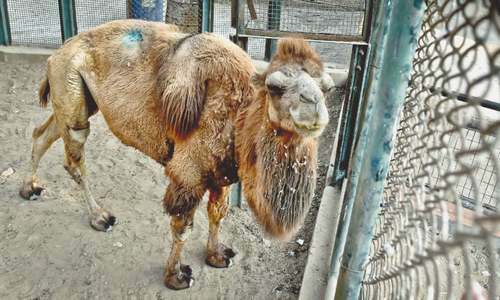 The zoo, which was controlled by the Capital Development Authority (CDA), has been devolved to the Metropolitan Corporation Islamabad (MCI) since the local government was formed. Chief Metropolitan Officer Syed Najaf Iqbal confirmed that five deer were killed. He also admitted that a security guard who was supposed to be at the enclosure was not present. The guard has been suspended while an inquiry has been ordered to determine who else was responsible. Some zoo officials told Dawn there was a nexus between officers and junior staff deployed at the F-8 enclosure, where staff routinely do not perform night-time duties. They said officers were hand in glove with them, and some employees had been posted there for a long time. 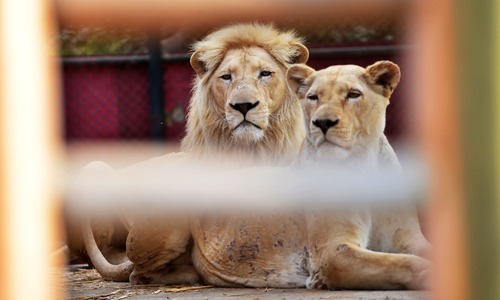 Sources said that of the around 120 officials deployed at the zoo, more than two dozen have not been performing their duties properly as they have introduced themselves as members of the employees union and hold letters from the union. During a visit to the F-8 enclosure on Wednesday, Dawn noted that the fencing around the enclosure is not properly fixed, leaving a chance for wild animals to enter. Animal deaths have become routine at the Marghazar Zoo itself; nearly 15 animals, including a bear, have died at the zoo in some three years. Officially zoo staff said the bear, which died recently in a small enclosure, died from a tumour. But some have claimed the bear died because of neglect and because it had been living in a confined staff. Zebras, ostrich, lion cubs, Nilgai and urials have died at the zoo in mysterious circumstances in the past, although the zoo administration has said these animals died natural deaths. Animals at the zoo are housed in small and barren enclosures. Kavaan, the lone elephant, is kept in a space too small for such a large animal, while the pair of lions is kept apart to keep them from mating. The chief metropolitan officer said the zoo needs improvement, for which the government has earmarked Rs100 million in the 2018-19 financial year. “Once we receive the funds we will start upgrading this facility,” he said, adding that the MCI was also facing issues with transfers and postings in the zoo because the CDA was interfering in its matters. “The zoo falls in our domain, but the CDA is dealing with its transfer postings. We have already taken up this issue with CDA high-ups as they no longer have a role in the zoo,” he said. this is a most unusual event. i have lived in front of that enclosure for more than 10 years and never ever anything like this happened. also in 30 years of this deer enclosure's history this has happened for the first time (this enclosure was built in 1988). One wolf killed five deer? That is a lot of work for one wolf. Is there anything that previous PML-N government guided or administered working flawlessly? Corruption, deception and bribery just about everywhere. 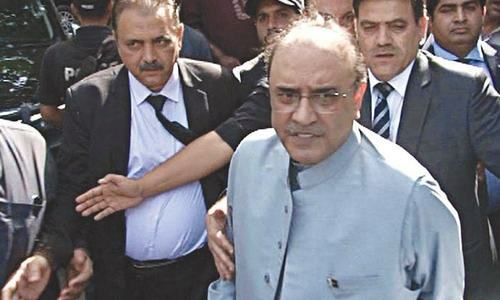 Billions of foreign and rupees have been transferred to overseas banks by Shreeif brothers. WE NEED A Clear Investigation into All Politicians Assets And Properties!! !